Keep your concession stand or convenience store's hot food area looking clean and organized with this Carnival King 18 1/4" x 4 1/4" x 1 1/2" stainless steel 7 compartment hot dog preparation tray! This tray holds up to 7 hot dogs, making it easy to prepare an abundance of hot dogs prior to busy lunch or dinner hours, ensuring fast, efficient service. The partitions hold the hot dog bun in place for easy condiment dispensing such as ketchup and mustard, and keep both the bun and hot dog upright so employees or customers can simply add chopped onions, sauerkraut, or relish as desired without hassle or mess. 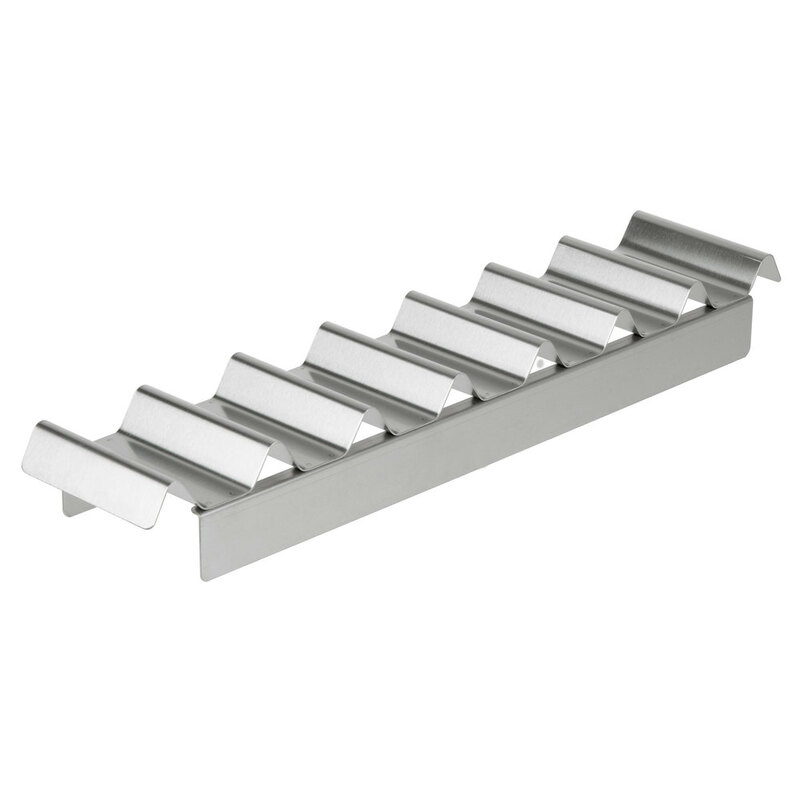 This tray is made of sturdy stainless steel that will stand up to the rigors of heavy duty use. Its smooth surface and rounded curves also ensure easy cleaning after every use. Plus, it features built-in carrying handles for simple transportation when needed. Make your snack area more visually appealing with the help of this Carnival King hot dog tray!